Mary Douglas Nicol was born on February 6, 1913. Her father, Erskine Nicol, was a popular landscape artist, and Mary spent much of her childhood in Europe, especially in the Dordogne and at Les Eyzies, a region rich in prehistoric art and archaeological sites, topics in which Mary became interested. Her idyllic life was shattered in 1926 when her father, to whom she was exceptionally close, died, and Mary and her mother moved back to London. Attempts to give her some conventional education failed when the rebellious girl was expelled from two Catholic schools. In 1930 she began auditing archaeology and geology university courses, and she worked on archaeological digs and as a scientific illustrator. She met Louis Leakey in 1933 at Cambridge, and soon began an affair with him. On his next expedition to Africa, she arranged to meet him there, travelled home with him, and soon moved in with him. After his wife Frida divorced him, they were married in late 1936. She returned to Kenya with Louis the following year, and in the subsequent decades worked in many excavations. An important discovery of Mary's was the first fossil skull of the extinct Miocene primate Proconsul. Mary primarily worked as an archeologist rather than a physical anthropologist. In 1959, Mary found the "Zinjanthropus" (Australopithecus boisei) fossil which was to propel the Leakey family to worldwide fame. 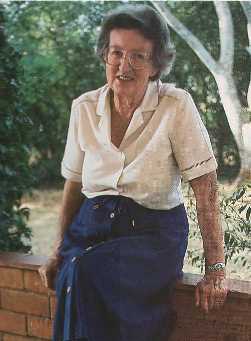 From the mid-1960's, she lived almost full time at Olduvai Gorge, often alone, while Louis worked on other projects. She and Louis grew apart, partly because of his womanizing and partly because Louis was dividing his time between many other projects. In 1974, she commenced excavations at nearby Laetoli, and in 1976 her team found huge numbers of animal footprints that had been fossilized in ash deposited by a volcano. In 1978 they found what would be her greatest discovery, adjacent footprint tracks that had been left by two bipedal hominids. In 1983, Mary retired from active fieldwork, moving to Nairobi from Olduvai Gorge, where she had lived for nearly 20 years. She died in 1996 at the age of eighty-three. Although it was Louis Leakey who was the more charismatic and well-known figure, Mary became a famous scientist in her own right. Although she had never earned a degree, by the end of her life she had received many honorary degrees and other awards. It is generally agreed that Mary was a better scientist, far more meticulous and cautious than the often reckless Louis. Her prodigious achievements in archaeology make her a giant in the field. Morell V. (1995): Ancestral passions: the Leakey family and the quest for humankind's beginnings. New York: Simon & Schuster.